Say you want to divide 39.44 by 2.9. After adjusting the decimal points this becomes 394.4 divided by 29. The division, ignoring the decimal point, is shown below. The final step is to insert the decimal point in the right place in your answer. Click on step 1 below to see how. Is Gibson Ready for Its Encore? Iconic guitar maker Gibson is about to emerge from bankruptcy -- can it recapture the magic that turned it into a music icon? 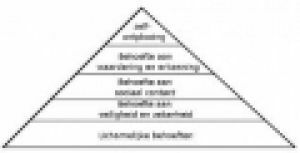 Theorie over de behoeftepiramide van Maslow. This resource provides detailed protocols for teaching and conducting a laboratory exercise in enzyme kinetics and cellular biochemistry.